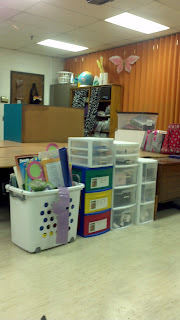 Classroom Library and new fantastic blog! Will you make fun of me if I tell you I am super proud of myself for my new classroom creation?! My number one priority when I became a teacher was to have my students fall in LOVE with reading. I think that having a space conducive to losing yourself in a book is essential for this to happen. I have tried all kinds of different ways to have a library in my classroom but have never found the space that worked. Sadly I resorted to lining my bookcases up against the hideous orange curtain and kind of forgetting about it. Meet my baby! 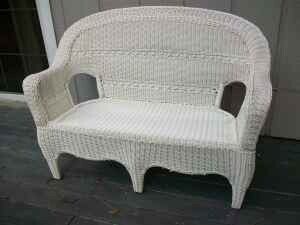 I have already planned team meetings that are going to take place with me snuggled up in this adorable space!! That same adorable cousin Lindsey sewed these little gems (also known as curtains)-- she even texted me and asked if she could add a little flair at the bottom of them in the form of some zebra print ribbon---does she know me or what?? You won't believe it, but I have another adorable cousin named Courtney who painted these great READ letters! I had painted my shelves last summer (along with all my lockers and another shelf) and they were the inspiration for the whole library. I made new book bin labels to match the color scheme. I keep my leveled books in a separate shelf near my guided reading table for easier access. Sorry for the bad pics, the sun is setting right in the way ;) And last but not least--- the tissue paper pom poms-- I am so proud of these too! I watched a youtube video on how to make those and only failed on one attempt! They are my favorite part of the library! Here is the best picture of the whole thing! So sorry about the light-- I didn't realize how bad it was until I got home. I would love to see the spaces that make you beam--so leave me a link! On another note- check out newbie Christie at First Grade Fever! Adorable Christie is promising to send you CUSTOMIZED jungle classroom goodies if you signup for her giveaway! I already received mine and they are perfect! So hop on over... First Grade Fever! ... would be trying to work in your classroom while your two-year-old and three-year-old run wild! In the end I got a lot completed but MAN was that a difficult day. I know that once PDs and meetings start next week I will be just a mess, so I want to get as much accomplished as possible before Monday (we start school the 10th eek!). Today I put together and laminated my behavior chart... I am so proud of it! I also finally printed, cut, and laminated those labels for my math crates. I will be back tomorrow to show you my finished library! So I know I am a little late jumping on this boat but Debbie Diller's Math Work Stations.. AMAZING. I read the first 3 chapters today while my kids were destroying my house and can't wait to read more tomorrow (I would read on tonight except I have to watch So You Think You Can Dance :) and have some Mommy time). Tomorrow morning is a babysitter day for me so I am going to spend the morning cleaning/purging/organizing my math manipulatives as Debbie suggests in Chapter 2! I created the following three documents to be ready for the start of Math Work Stations week 2 of school! Note: These documents are not fancy, just essential to run Math Stations! I hope someone can use these, and I promise I will share more as I read! This is going to be a pretty quick post since I have to be at Boot Camp pretty soon. Anybody else ever been crazy enough to torture themself through this form of exercise :)??? I met with my first grade team today and we are in the process of laying out our Math Curriculum for the year. We are trying all kinds of crazy things-- we are abandoning Envisions and going with a Math Centers Format for the first time. We were very unhappy with the amount of sit-and-get going on with our kids, and we were receiving complaints that our kids needed better number sense. I feel very confident about what we are coming up with, but I am an extremely visual person so I want to know how I need to set my room up to accommodate these Centers first and foremost. I found mini-crates at Walmart (only $1.47 each!!) and prettied them up with some zebra print ribbon of course. To go on the front of the crates I am putting laminated numbers backed with colorful paper. I went ahead and made the number labels while my sweet toddlers were napping and thought I would share them with you all--- nothing special, I just love the font! CLICK HERE! I will take pictures of the finished product very soon. I am starting to realize how quickly school is approaching so I will probably be around a lot more in the next couple of weeks creating and borrowing lots of ideas! I'm a follower of your FAB blog! I can't wait to share with you all more before school starts up August 10th! Only five more hours to enter the giveaway that could get you these three amazing books! Yes, that is all my stuff piled in the middle of the room. I went in today to try and work and ended up leaving after an hour and a half of just staring at the mess. Let me explain- we are getting major renovation done to our bathrooms so the kindergarten/first grade hall is a MESS. So the custodians had to wait to wax our floors until it was okay to put our stuff in the hallway. Anyone seen that renovation dust... oh my goodness. The fantastic custodians talked to the nice construction men, and they decided they could do my room Tuesday... yay! I have been working on some crafty projects outside of school, but man have I got some work to do. My main project this summer has been my classroom library. I am still searching for ideas so if you have a post for a cute classroom library... give me a link or point me in the right direction on Pinterest ( my new obsession)! Don't forget to enter the giveaway here! The giveaway is for THREE great books! 3 is my favorite number-- so how wonderful that I come back to the world of blogging to 300 followers. Whoopee! When I started blogging in December, I never dreamed that anyone would care enough about what I have to say to follow me. I remember the day that I checked my blog and called my husband to tell him that I had *gasp* 17 followers! Of course he thought I was ridiculous but what does he know :)?! I want to celebrate this milestone by doing a giveaway with Sylvan Dell Publishing Company again! My connections are limited but, oh my, what a fantastic connection to have! Thanks Sis! This giveaway will be for THREE fantastic books! Here is the first book and one of my favorites. I love the connection Big Cat, Little Kitty makes between the exciting cats of the wild and your everyday house cat! As a strong believer in the power of picture books, I truly think this book is perfect for all elementary grade levels. 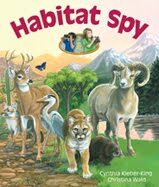 Habitat Spy is perfect to be used in *shocker* a unit on habitats. I think it would be great to talk about how many habitats can exist in a small area! 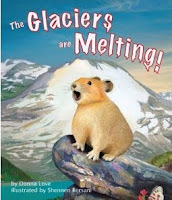 The Glaciers are Melting is not only a great addition to your science library, but offers a wonderful opportunity to tie in a classic fable like Chicken Little. Peter Pika runs around informing all the other animals that the glaciers are melting. I cannot say enough about the wonderful discussion opportunities that would arise from reading this book to your class. So now that I have you all hungry for some great children's lit, here is how you enter the giveaway. Leave a separate comment for each one that you complete!!! This giveaway will end Monday at 10:00 p.m.
5. Tell me why you would love to win these books! Thanks for "listening" to what I have to say in my blog posts and giving me the encouragement to be a better teacher! I apologize for such a long hiatus, but trust me when I tell you -- it was needed. With the traumatic events at the end of the year, I spun into major reflection, but not necessarily the productive kind (pretty sure that would just be called second-guessing/worrying and not reflection then). But after a long ten days in the greatest place on Earth-- Charleston, SC... Im going to dip my toes back into the refreshing waters of the blogosphere, because I have missed my friends oh so much! I actually met a fellow blogger on the beach (her adorable daughter Lilly played so well with Nash and Emmie)... and although she blogs about fashion and other stylish things that I know nohing about-- we shared the same love for the creativity we experience through the process of blogging. In the looong drive home I have spent many hours perusing her site and think you should check it out too because it is just Oh So Fabulous! And like I told her- teachers can be fabulous too right :) Look Linger Love Tell Chassity I sent you! Thank you for being patient in my absence and once again, I am SO glad to be blogging again!